New Delhi: Accusing Prime Minister Narendra Modi of being directly involved in the Rafale fighter jet deal with France, Congress president Rahul Gandhi on Friday said that he ran a parallel negotiation. 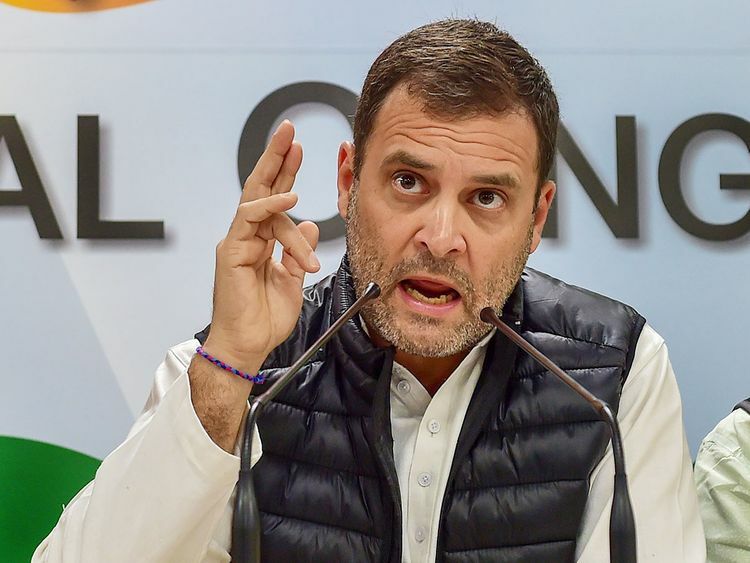 “We have been saying for more than a year that the Prime Minister is directly involved in the Rafale scam,” Gandhi said here while addressing a press conference at the party headquarters on Akbar Road. “Today, The Hindu newspaper has put it in black and white. It is absolutely clear that the prime minister himself was carrying out a parallel negotiation with the French,” he said. His remarks came after The Hindu on Friday published a report: ‘Defence Ministry protested against PMO undermining Rafale negotiations’. “Now Ministry itself has said that we may advise PMO [Prime Minister’s Office] that any officers who are not part of Indian Negotiating Team may refrain from having parallel parlays,” he said reading the letter. Quoting the remarks of the Defence Secretary in the letter to then Defence Minister Manohar Parrikar, Gandhi said: “Even the Defence official was against such discussions” and “had desired for them to be avoided by the PMO as it “undermines our negotiating position seriously”. “It cannot get any clearer or stronger than this,” he said. The Congress president that it was an open and shut case as the Defence Ministry was saying that the Prime Minister ran a parallel negotiation. Meanwhile, the Goa Congress on Friday made a renewed pitch for a probe into the contents of an audio tape, in which Goa Health Minister Vishwajit Rane had claimed that former defence minister Manohar Parrikar had stashed files related to the Rafale deal in his bedroom. State Congress president Girish Chodankar said that only a joint parliamentary committee probe would help get to the bottom of the matter. “The Rafale files, which according to the Goa health minister are in Chief Minister Manohar Parrikar’s bedroom are tumbling out one by one. A JPC probe will bring all these aspects out into the open and confirm the contents of the audio tape,” Chodankar said. An audio clip featuring Rane and a local journalist — where the former claimed that Parrikar had in a December 20, 2018, cabinet meeting admitted to possessing a stash of files related to the Rafale deal — had created an uproar in Parliament during the winter session in January. Rane later claimed that the tape was “doctored”, while Parrikar maintained that no such conversation occurred during the cabinet meeting. Chodankar said the reason why Modi and the ruling Bharatiya Janata Party were “running away” from a JPC, was the fear of more secrets coming out. “The JPC, if formed, will get an opportunity to probe the former Defence minister about the audio tape and the files which are now in his possession,” he added.